Join the team as they take you to Bardland, where war has raged for as long as anyone can remember, and winters last a lifetime (but not nearly as long as King Lear). The Histories, spearheaded by King Richard III, control the South, whilst the Tragedies – led by the Manic Price Hamlet, have claimed the North as the two ancient factions battle for dominion over the land. However, an old power is on the move. 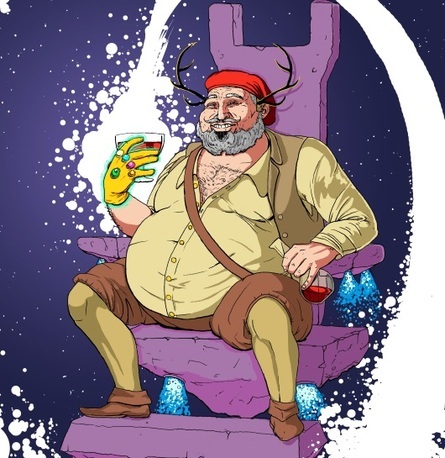 Infuriated by both sides’ refusal to acknowledge that the Comedies are funny, Sir John Falstaff has gathered an army, and is hunting down the Shakespeare Stones – echoes of their creator – to re-forge the oldest weapon in the world: The Infinity Boot. A new bard will be born. This is a world where all of Shakespeare’s creations live, laugh and love together. Full of tragedy, history and lashings of comedy!